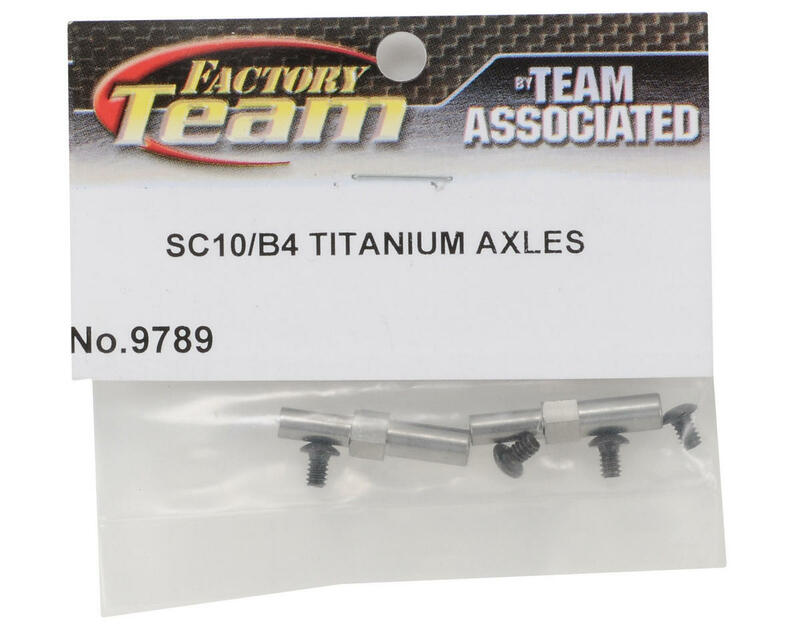 This is a optional Team Associated Titanium Front Axle Set, and is intended for use with the SC10 and B4. 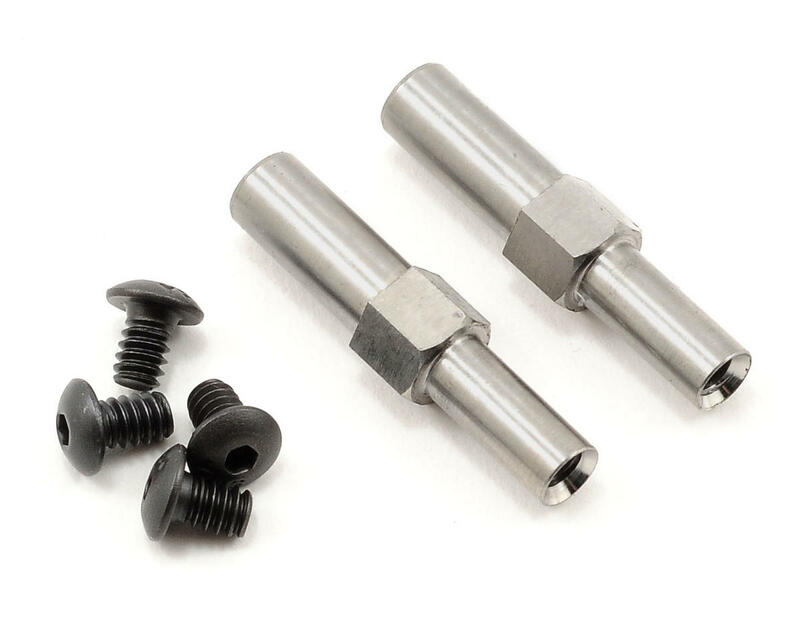 Lighter than steel and stronger than aluminum, these Factory Team titanium front axles are an easy way to lighten your car and reduce unsprung weight for improved handling and response. All necessary hardware is included.